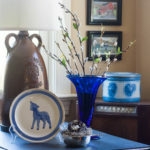 Today I’m joining a group of blogging friends to share what we collect. 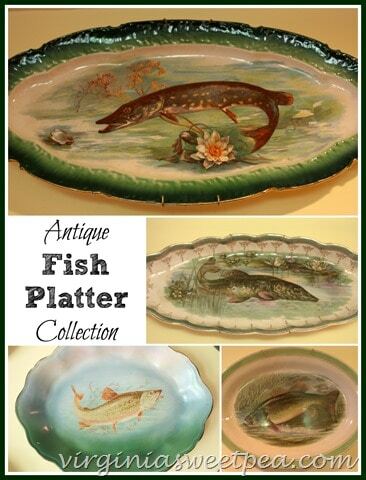 After much deliberation, I decided to share my antique fish platter collection. 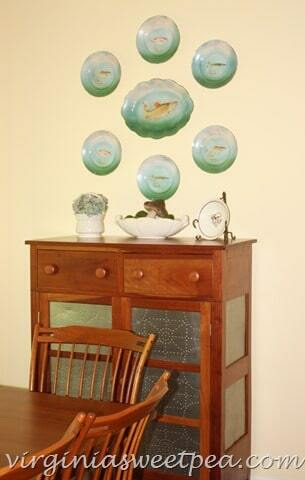 Are you wondering why I collect fish platters? My obsession started years ago when my mom and I ate at Basnight Lone Cedar Cafe on the causeway that connects Nags Head with Manteo. 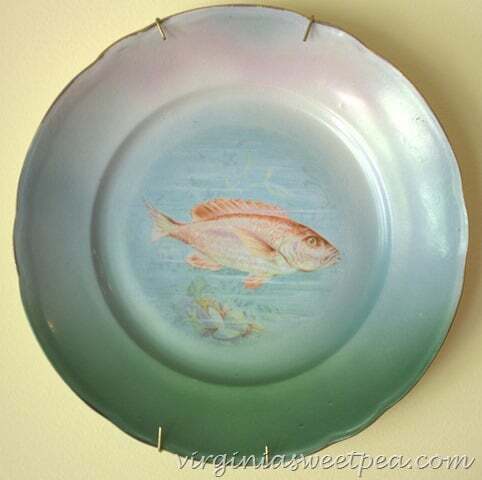 Both the lobby area and restaurant walls were decorated with elegant fish platters and plates that matched. I couldn’t stop looking at them! 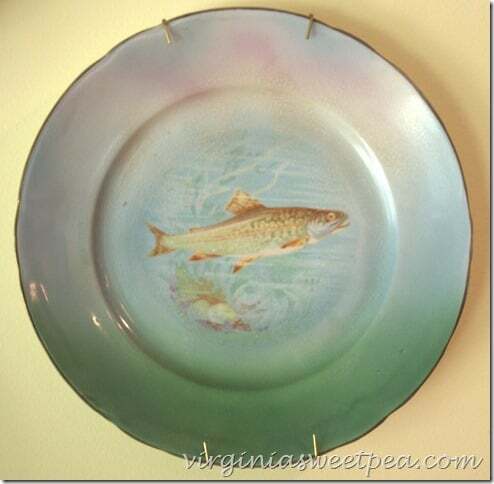 In 2007 the restaurant burned, destroying these elegant platters and plates. Of course I was sad that the restaurant was destroyed, but I was even sadder that irreplaceable antique pieces were lost. After seeing my first fish platter and plates at this restaurant, the desire for a collection was born. 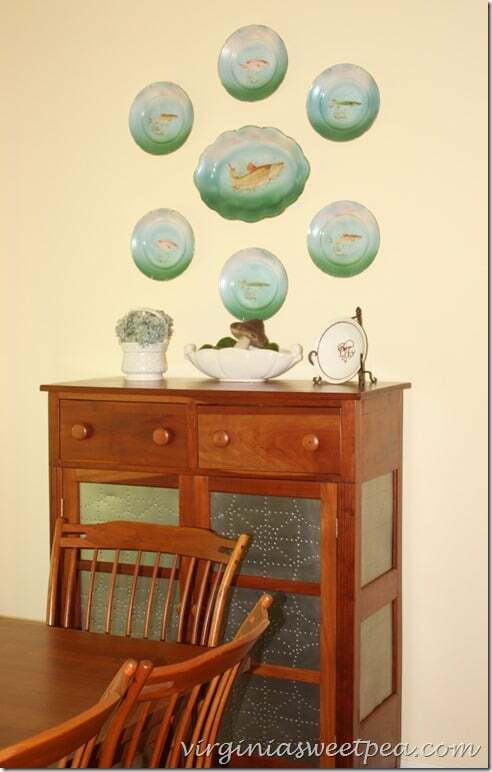 This platter with six matching plates hangs in the breakfast area of our kitchen. My fish platter and plates aren’t as elegant as those that inspired my collection, but after ten years of displaying it, I still like it. I have no interest in fishing but it doesn’t stop me from loving my fish platters and plates. This is the platter in the center of the display. 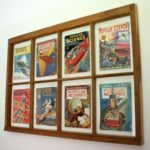 The rest of my collection hangs on a wall in the kitchen. This picture from Christmas 2014 shows some of my other collections: Lenox Holiday, vintage punch bowls, and vintage Santa boots. 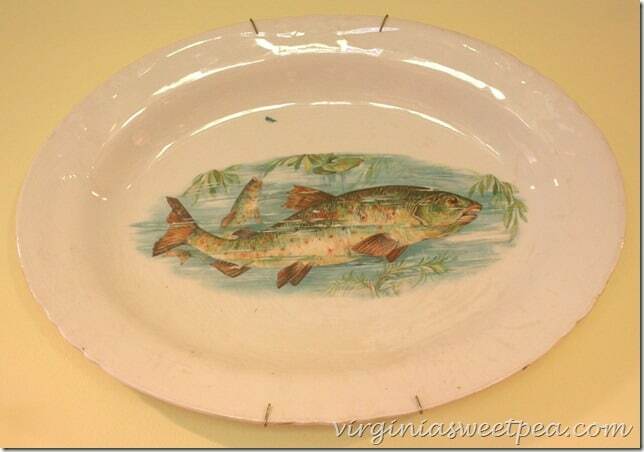 All of my fish platters are Ebay purchases with the exception of one. This one has some crazing but it doesn’t stop me from liking it. 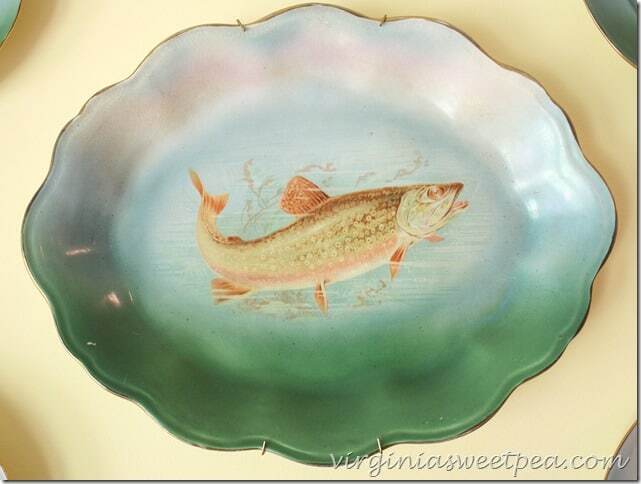 This was the first fish platter that I purchased. I’d like to find another one to replace this one in my wall display. The next two are my favorites. This one has lovely colors. 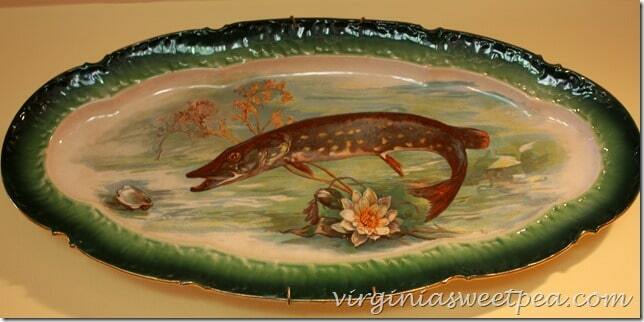 My mom found this fish platter in an antique shop in Staunton, VA and gave it to me for my birthday one year. I try to stay away from Ebay because I can’t resist the urge to look for fish platters and I easily get intrigued and want a lot of what I see. I am quite sure that my collection isn’t complete and more will be added to it in the future. 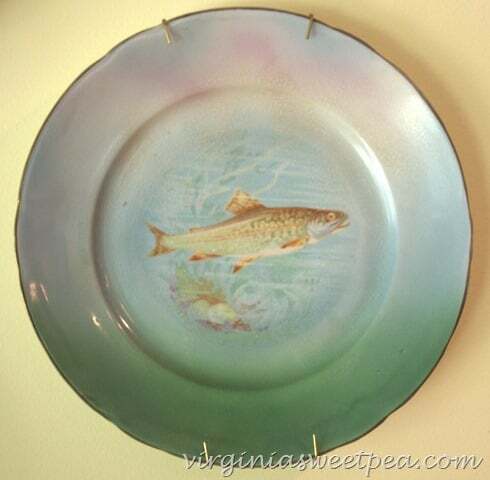 I’ll bet that you don’t know anyone else who collects fish platters! 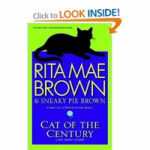 Scroll on down to enjoy seeing what some of my blog friends collect. I’m looking forward to reading these posts, too! 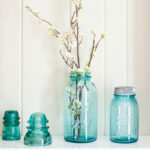 We’d love for you to share what you collect as well! 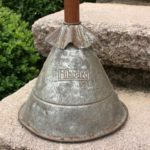 Share pictures of what you collect on Facebook, Twitter, or Instagram and add #whatIcollect to your posts. Search the hashtag to see what people from all over collect. I can’t wait! Previous Post: « American Odyssey Relay :: 12 Bloggers Run 200 Miles! You’re right. I don’t know anyone else who has a collection of fish plates. They are certainly unique. If you ever build a house at the lake, they would make a great statement. 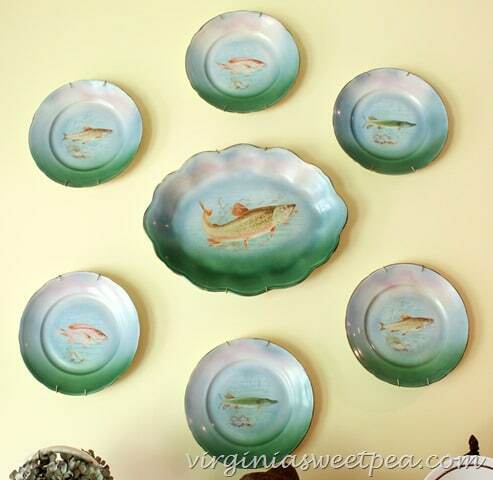 I love your fish platter collection! 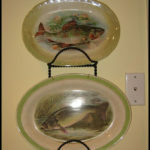 I have looked for years for an affordable set of fish plates and finally found one last fall at Round Top. I could collect lots of sets of these! Your collection is wonderful!! You’re right! I don’t know another soul on this planet that collects fish platters and plates. 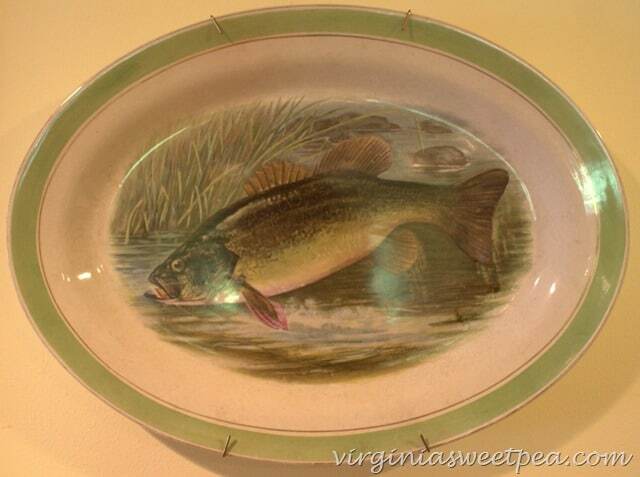 I also understand not liking to sport of fishing– and still having a thing for these platters. 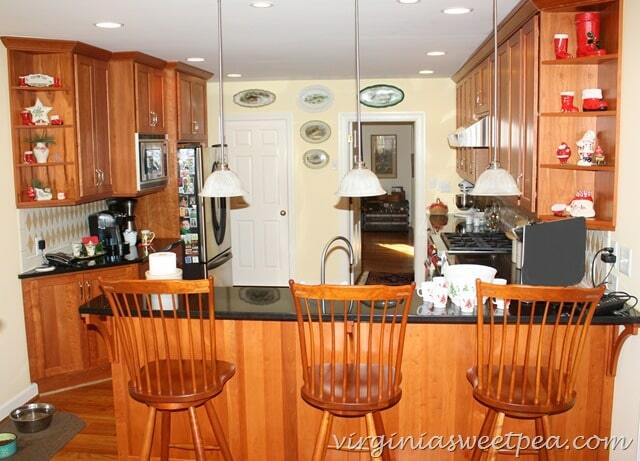 I don’tike fishing either- yet, I have fishing related items on the wall in my living room. Including a mounted fish! 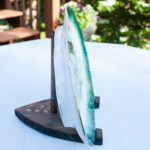 I like your platters, the colors are pretty and each one reminds me of a fish IN WATER! It’s so interesting to find out what others collect. 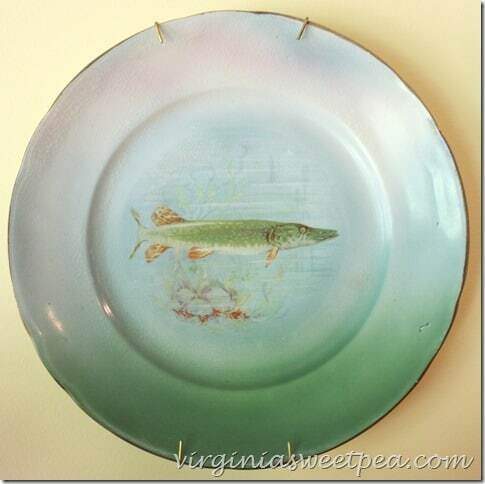 I would have never thought about fish plates…but they are lovely! Oh my goodness! 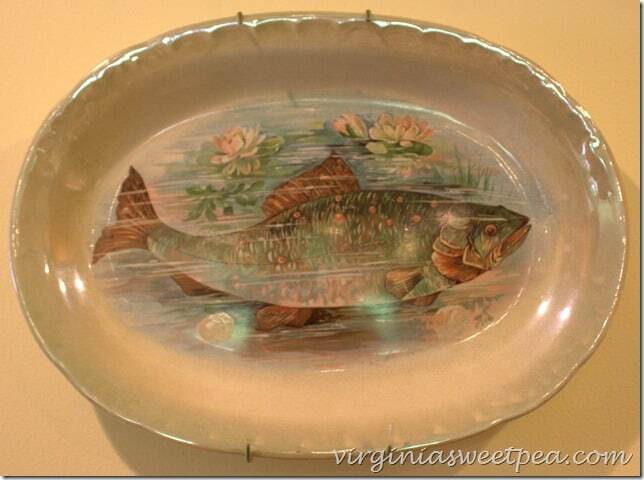 I never would have thought of collecting fish platters. And yours are gorgeous! Very impressive. 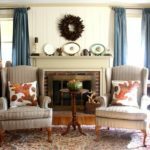 The colors and shading are just delightful for any home OR style. I think I might be out on the hunt for some fish platters as well. What a fun and different collection to have! I love it! I think all the colors in the platters are beautiful. I agree on ebay too! Once you get on it you realize everything you would ever want is on there! 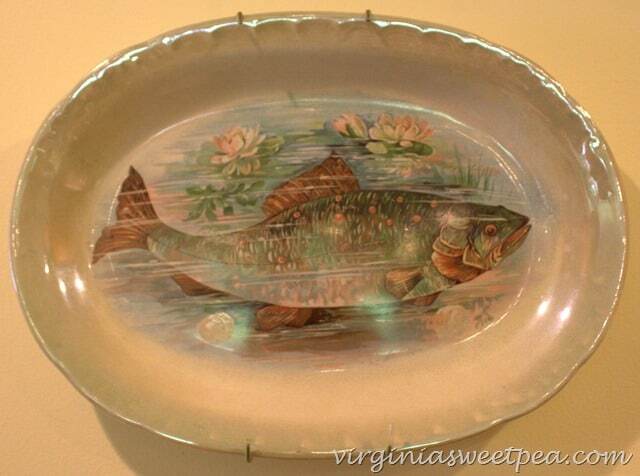 Paula, I love your fish plates. I don’t think I’ve ran across any like that. The colors are awesome. What a great collection! Who knew? 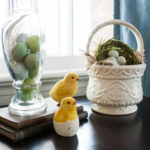 They look amazing displayed in your home. Thanks for sharing. What a neat collection Paula! 🙂 I love the fish…they’d go great in my decor too! Your plates are great! 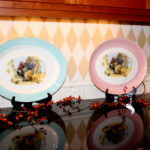 I have heard that those plate hangers are not safe as they put a lot of stress on the plates and there are supposed to be new ones that are recommended. I haven’t checked into this yet but it may be worth finding out. Thanks, Teri! I’ll have to look into different plate hangers. I’d hate to damage these. I think that’s one reason that I’m attracted to fish platters, Lisa. Both my dad and my brother (both deceased) loved to fish and the platters do remind me of them. 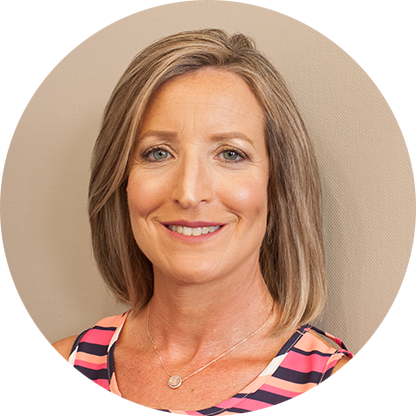 Hi Paula, I’m back….lol. , how are you sweet friend? 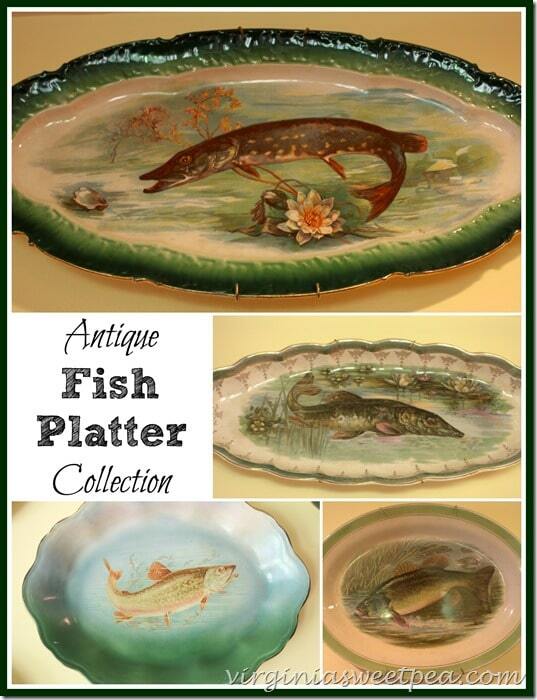 You know I LOVE your Fish Platter Collectoin! 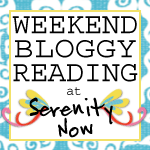 Thank you so much for linking up to our Something to Talk About Link Party this week. 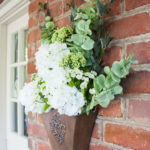 This was such a hit, it was one of our “MOST CLICKED” and You are being featuring at our link party tomorrow morning at 6 am est. 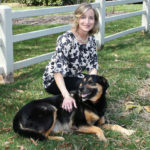 Love for you to come on over and join us again, Happy Memorial Day and enjoy, Lisa at Concord Cottage. 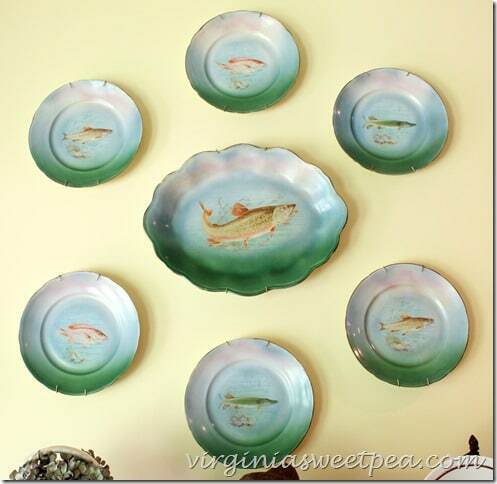 I recently purchased a set of 6 x fish plates and a fish platter. It is Victoria Fine China, Made in Germany. Unfortunately the platter was broken in transit, I was so upset I have looked for one of these sets for ages. Do you know of it and how I might find a platter replacement. Regards Gabrielle. I can imagine that you were so upset to find that your platter broke in transit. What a bummer! I would keep checking eBay for a replacement or perhaps check Replacements based out of North Carolina. They might have one in stock.